TO MEET the growing need for broadcasting from outside points, the National Broadcasting Company, of Chicago, 111., has outfitted a new car with all necessary equipment for this type of work. 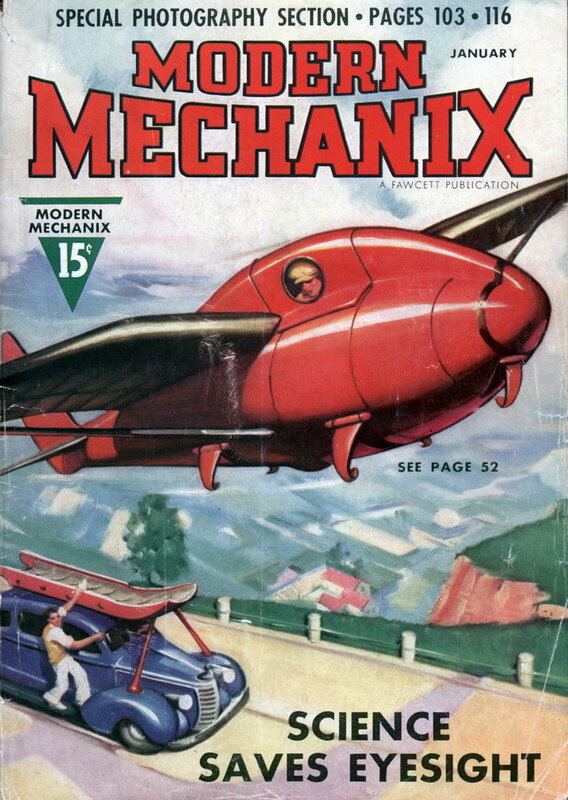 The vehicle is capable of traveling from place to place at high speeds. The equipment for this mobile unit consists of two transmitters, three receivers and a gasoline driven generator, all compactly mounted in a specially built touring sedan. Considerable weight reduction was achieved by discarding storage batteries and substituting the generator for the transmitters’ power supply. Immediately in back of the front seat is the control panel and console, which houses the ultra-high frequency receiver and the specially designed four-stage high gain audio amplifier. To the rear, in the space usually occupied by the back seat, is a large compartment containing a fifty-watt transmitter, used for stationary broadcasts. 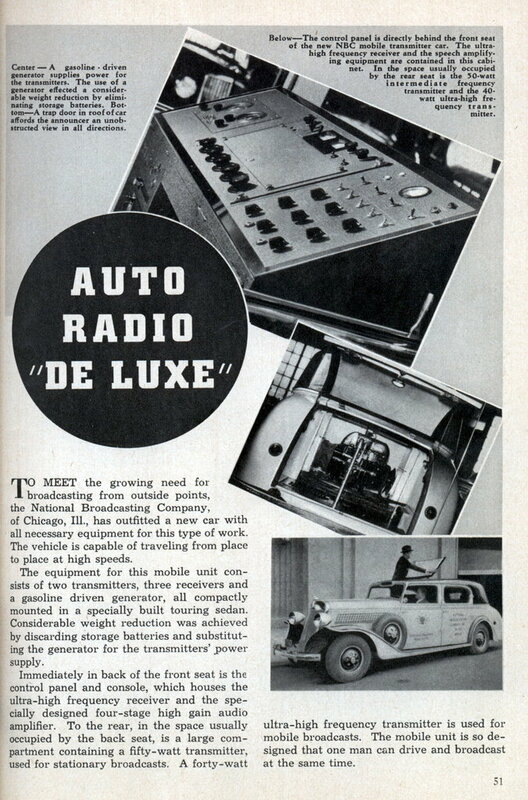 A forty-watt ultra-high frequency transmitter is used for mobile broadcasts. The mobile unit is so designed that one man can drive and broadcast at the same time.